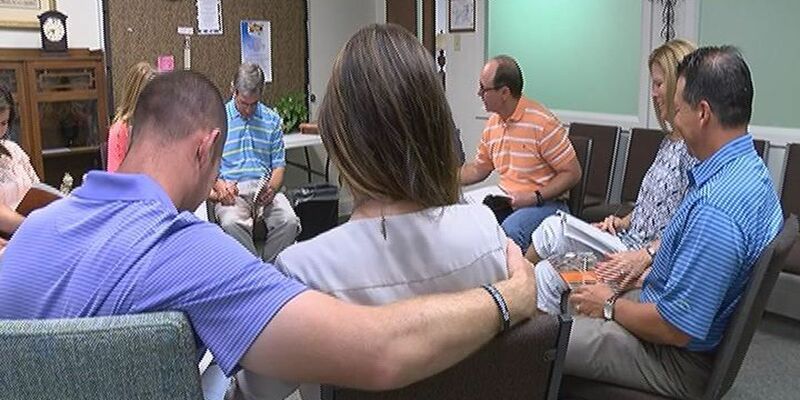 TYLER, TX (KLTV) - Instead of calling it quits, one East Texas ministry is helping couples call on Christ to strengthen marriages. Re/Engage started at Marvin United Methodist Church in Tyler, but it's grown to include 14 other congregations. Jack and Kathryn Morse say they saw a need for the marriage ministry, which reaches couples through classroom and small group settings. After 31 years of marriage, the Morses are finding new ways to bring God into their own relationship. "We've learned so much. And you'd think by 31 years, you'd kind of know it all. But we didn't," Kathryn said. Pairing personal experiences with training from conferences, the Morses guide the 13-week course. Weekly meetings introduce biblical principles such as grace, humility, love, forgiveness, commitment, truth, and communication. Spouses are encouraged to focus on their own development, staying within comfort zones during group discussions. "It's not intimidating. It's not humiliating," Kathryn said. "It's just a great program, to sit in the small groups with other couples and realize, 'Wow. They've got issues too and that's normal. And that's okay. We will work through this." It brings a new light to relationships in any state, helping couples in all stages -- seriously dating, newlyweds, and even 50-plus year marriages. "It's not just for struggling marriages or for people that are having problems," Jack said. "It's for good marriages that want to get better and learn about God's principles and what God really wants for your marriage." Three years after saying "I do," Wesley and Chantelle Farr are rooting their family in faith. "You can never stop trying to better your marriage," Chantelle said. "Especially when it's coming closer to God and bringing you two together." Wesley said Re/Engage is teaching them what not to take for granted. "The class helps you remember all those things and help you remember that your spouse truly is a gift to you." Small groups build on a network of other couples' experiences. The issues discussed are real: navigating conflict, problems with commitment, relationship expectations, and intimacy. Couples are sometimes called upon to lead the conversation. Kathryn says honesty is key. "We're not counselors, we're not ministers. We're just vessels that God works through. And it's God that does all the work. We just facilitate the group. So it's a little relieving." They're teaching couples that marriage is not a matter of convenience, but a sacred promise. "You've created a covenant when you got married, that is there to glorify God," Jack said. "Therefore, you will stay together and work out whatever problems you have, with the help of the Holy Spirit and with God." Next Spring, more congregations will be invited to partner with Re/Engage. A special program for ministers will explain what is involved with expanding the ministry's reach to communities across East Texas. The Morses say they hope couples will be called to serve as liaisons to the ministry. "We have a front row seat to watch God work in the marriages," Kathryn said. "It is so neat to watch what happens when he works in their marriages, on their hearts, and they get it." Re/Engage will hold its next meeting at 6 p.m. on Wednesday, August 26 at Marvin United Methodist Church in downtown Tyler. The program is free and childcare is provided for those who register in advance. For more information on the Re/Engage ministry, click here.